A North American food product distributor recognized that they had to transform their sales training to meet the needs of 1,400 new sales reps they were hiring each year. To develop a solution, the company engaged the Sales Readiness Group (SRG) in a project that eventually expanded into four phases. 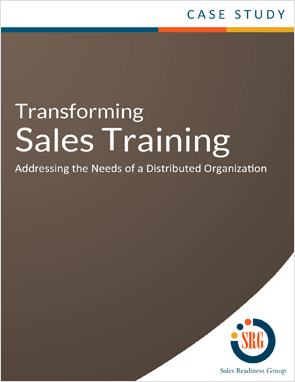 Download now to learn how this company transformed their sales training program to meet the needs of their distributed organization.